Hi Guys, I hope everyone is having a good weekend. 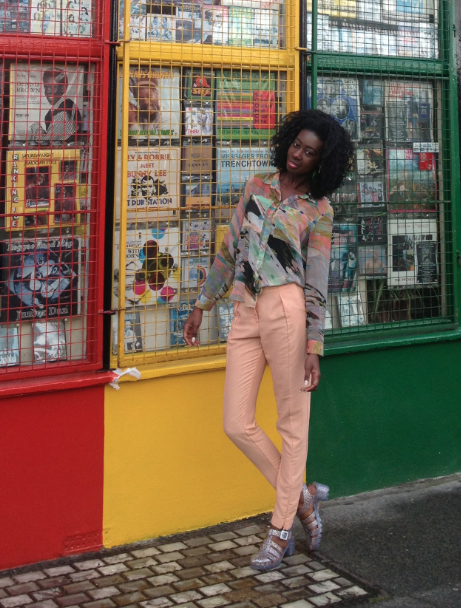 Yesterday I was in Ladbroke Grove with my friend Femi and we passed by People's Sound record store which stood out to me particularly in the street with it's colourful bold frontline, playing old skool reggae beats. Perfect backdrop and perfect for this outfit of the day post.